Why do some products explode into the stratosphere on launch, and some fade away, never to be mentioned by a consumer again? 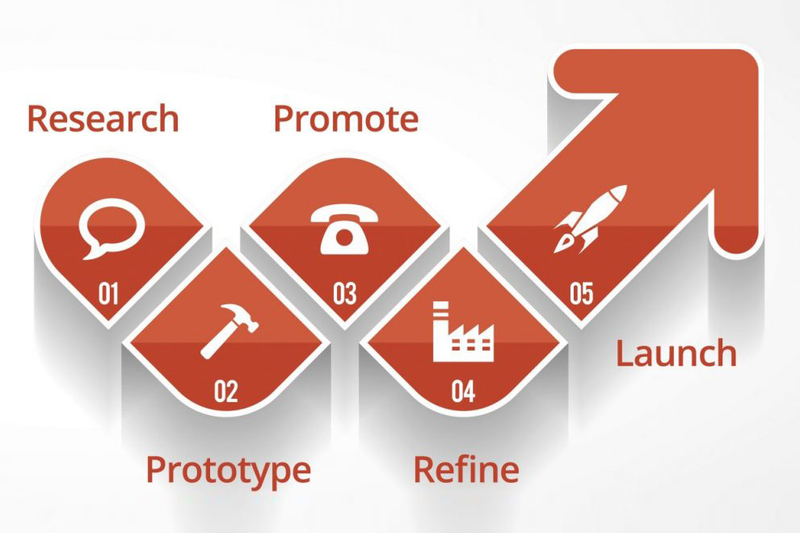 Brandrefinery is a marketing and product launch consultancy service which has pinpointed the five main reasons a product fails after it’s launched. The marketing experts at the firm are sharing their wisdom with the public. Brandrefinery have been in business since 2007, providing consultancy services to companies both big and small who want to bring products or services to market. Initially established in New York, Brandrefinery has since evolved to offer specialist product development, branding and promotion services. With such vast experience under our belts, we have developed a keen sense of why some products crash and burn, while others go on to make millions. The first red flag for a doomed product launch is that it’s been pushed through production quickly and is being launched before it’s ready. Windows’ ill-fated Vista operating system is a prime example; it was highly anticipated and rushed through production, but when it launched, it was dogged with compatibility and performance issues. Had the Windows team reigned in their excitement, ironed out the bugs and launched a concrete product a little behind schedule, they could have avoided being lampooned by competitors Apple in their memorable ‘I’m A Mac’ advertising campaign. The second reason for a failed product launch is that there’s just no market. There are two questions product developers must be continually ask themselves: “Who will buy this?” and, “How much will they pay?” If there doesn’t seem to be any definitive and compelling answers to these questions, it’s likely the product is heading for a fall. Products must also be distinct if they are to succeed in the eyes of consumers – they must offer something that existing products don’t. When Coca-Cola launched C2 back in 2004, they thought they had uncovered a whole new market: men aged 20-40 who liked the taste of normal Coke and the zero calories of Diet Coke, without the slightly ‘feminine’ image that had been cultivated through various ad campaigns. But C2’s half-calorie option was seen as a ‘halfway house’ option, and consuming half the calories seemed pointless when there was already a zero calorie version on the market. After much consultation, C2 was pulled and Coke Zero was born: zero calories, maximum taste and a hit with young men across the globe. Confusing products also put off consumers. Once in the US, an energy drink named ‘Cocaine’ was pulled from the shelves. Consumers were confused about the contents of the drink, whether it replicated the effects of the prohibited drug, and whether the drink was actually legal. The confusion drove away consumers en masse. The last reason for the failure of a product launch is an unexpected one: product developers can become victims of their own success. If a product goes viral overnight and amasses thousands of orders, it can put companies with established manufacturing and distribution channels in a sticky situation. Do they dare move distribution to a higher volume plant? How will extended distribution channels affect their bottom line? The companies that don’t plan for this often end up experiencing a backlash – a phenomenon which demonstrates the need to plan carefully for success. For more information about how Brandrefinery,can help launch your product please call us on 00 44(0) 1886 833446.